All additions or corrections gratefully received - if you know of the line 'Pinot de Bourbon-Lancy', do contact us, also my thanks to cousin Muriel for her additions line 'de Laulerie'. dor, accomp. de 3 pommes de pin du mesme. - (Pièces Originales 2286. - Armorial Général Languedoc). The members of the "Pinot de Moira" branch of this family have been linked with those of the "Audcent" family for over 160 years, the bonds were formed when the two families were allied by marriage in 1835, and then descendants emigrated together to England around 1872, following the Franco-Prussian War of 1870. Seigneurs and Marquis de Rochepaule, de Rochemaure, de la Chau, de Montchal, de Faur, de Moira, de Chaminade, de Masgre, de Laulerie. The family originate from Languedoc in the districts of Vivarais and Velay, and in Angoumois. The archives of the family were conserved in their castle at Rochepaule, and destroyed and dispersed during the troubles and civil wars of the 16th century, of which for a long time the Languedoc was the centre. At that time both the castle and the other principal houses were pillaged and burnt. The family were of ancient aristocracy, as is borne out by the position held by Jean Pinot, Chevalier of Jerusalem, for to join the order of St John, it was necessary to be descended by authenticated titles of 8 quarterings of their arms, both paternal and maternal. Languedoc in medieval times was a centre of civilised living. A genealogy of the family, on which the early documentation which follows is based, was prepared by my GGGrandfather, Hippolyte 'Henri' Pinot de Moira, duly legalised and registered at Paris on the 2nd July 1846. This same Henri married into one of the oldest families in France, that of "St Ouen d'Ernemont" known originally as "St Ouen sous Bailly" from Normandy, who could trace their ancestory to the 8th century, although the Genealogy I have ends at 1350. It is my intention to place my known information on this family into these web pages, but with such an extensive history and a considerable number of known descendants, this will take time. All the English Audcents and their cousins Pinot de Moira, by this marriage, thus descend from this ancient family! NB. (1) the dates for Pons Pinot notaire 1563-1582 seem a little early for our Pons, who was definitely described as a Notaire on the above web-site, but is this Notaire, the name of his Grandfather or perhaps Uncle, how old was he when he married? & (2) Ponthus de Lermuzieres m. 1588 Anne Pinot (they are the founders of 'l'Hermuziere de Souteyra' Branch cadette), she must surely be a member of our family, is she an aunt of Pons, they appear to have had a dtr Anne de L'hermuzieres de Souteyra m. 25/7/1622 Jean Baud de Mercoux? Catherine PINOT, who having a disability, her father gave her the enjoyment of his domaine at Faur for life. Catherine PINOT, m. 8/5/1661 Jean BOLLON, doctor of law, Judge at Rochepaule & Rochebonne, son of Jacques Bollon and Genevieve de Mars. Catherine PINOT, who made a will in June 1602 before Marchand of Rochepaule, and died without issue. (c) Louis DE BAILLARD, b. 1747, Ecuyer, Musketeer. 2. Jean Pinot, Chevalier de Jerusalem, died at the taking of Algiers in 1541, he held for arms, De gueules, au chevron d'or, accompagne de trois pommes de pin du meme, possees deux en chef et une en pointe. Claude SEGUIER, Seigneur de la Verriere, Gentilhomme servant du Roi, Charles IX, Chambellan Ordinaire Francois, Duc d'Alencon, m. 14/8/1567 Judith DU PUY, of which marriage there was issue unknown. Anne SEGUIER, m. 1st Francois DU PRAT, Baron de Thiern et Vitteaux, grandson of Cardinal du Prat Chancellor of France, and 2nd Hugues DE LA VERGUE, Chambellan Ordinaire and Capitaine of the Guards of Francois Duc d'Alencon. Catherine SEGUIER, m. before 17/7/1578 Jacques D'APCHON, Seigneur de St. Germain des Fosses, Chambellan Ordinaire du Francois Duc d'Alencon, Chevalier de l'ordre du Roi. 4. Guiotte PINOT m. Nicolas ALLEAUME (a family from Orleans), issue unknown. Here it is interesting to note that the "de Moira" which appelation was approved by the french courts at the beginning of the 19th century upon application by Marquis Paul Francois who follows, appears to be an Irish title. The story goes that an Irish nobleman requested our forebear to adopt his title as a mark of his regard and respect. At one time I thought this fanciful, however, all lines appear to have heard of the story and indeed there is an earldom of Moira in Ireland. Marie Joseph Louis PINOT DE MOIRA, b. 19/5/1837 at Limoges (presumed died young as he held same name as younger brother). Marie Petroville Armandine PINOT DE MOIRA, b. 17/4/1839 at Limoges. Lucile Pauline Marie PINOT DE MOIRA, b. 29/5/1840 at Limoges. Nothing more is known of this line. Lucille Petronille Josephine PINOT DE MOIRA b. 19/3/1821, d. 8/1/1884, m. 1st M. VALEE, Chef de Bataillon and Officier of the Legion d'Honneur (NB There are too many of similar name to identify her husband), they had issue unknown, then presumed 2nd marriage 29/10/1859 to Joseph Charles CRAMOUZAUD-DONNARIEIX and further issue (this latter marriage based on information from descendant Dominique de Lastours). Alfred LANSADE DE PLAIGNE we know he married, and ? is he the father of Leon who introduced 'Henri' Audcent to his future wife 'Henriette' Ferney. Catherine Antoinette LANSADE DE PLAIGNE who m. 25/2/1835 at Limoges, her first cvousin Paul Francois PINOT DE MOIRA of which marriage they had issue, see his line. (His portrait is shown here, painted in 1807, it shows him in the uniform of an 'Etat Major' (staff officer) standing in front of the town of Stralsund situated on the Baltic. In his hand he holds a map he had prepared of the town - portrait now in the possession of David B Audcent). Louis Felix Henri Leopold PINOT DE MOIRA b. 9/6/1813 St Junien, of whom we know nothing more, presumed d. young. Helene Marie Louise AUDCENT, Spinster, dsp. Pauline Marie Marguerite AUDCENT, Spinster, dsp. Marie Henriette AUDCENT, b 14/6/1836, d. Jan 1915, m. 1st Paul Adrien Adolphe MARINIER and 2nd 18/1/1890 Paris, Charles Joseph HARMANT, she is known to have had 2 daughters of her first marriage. Berthe MARINIER m. Victor MAURICE and had issue. Henri Auguste FAUCONNET, b. 1862. Raoul Armand FAUCONNET, b. 1866. Robert Arthur FAUCONNET, b. 1867. Pauline Charlotte CLUZEAU, b. 14/7/1879. Adopted son: Manoel Gaston UNKNOWN b. c1901 d. 7/7/1964, his real mother died when he was 11, disabled, deaf & dumb, he never married. Educated by an English woman Miss Mildred on her death he was looked after by another English family, at what date Gaston adopted him we do not know. His adopted aunt Cecilia told Fernando Hatschbach (her grandson) that Manoel known as "Maneco" was a Comte, it would seem that he therefore 'inherited' his adopted father's title "Comte de Rochepaule". Henri PINOT DE MOIRA, b. 2/12/1881 d 12/12/1904. Carmen Clotilde Pinot de Moira LANGER (called 'Mita') b. 2/9/1909 d. 9/2/1944. Eduardo HATSCHBACH Economist, b. 1968 m. 2001, Ana Luisa Goncalves SANTORO, Architect, b. 1974. Paulo Jorge Pinot de Moira WALLBACH b. 17/7/1923 d. 14/11/1938 dsp. Alix Marie Marguerite PINOT DE MOIRA, b. 10/10/1850, Spinster, with her parents, raised the Audcent orphans on the death of her sister and brother-in-law, dsp. Helene Marie Blanche PINOT DE MOIRA, b. 19/3/1852, d. 14/6/1879, m. Taunton, 23/6/1874 her first cousin, Louis Arthur Henri Felix AUDCENT, of which marriage they had issue: Henri, Louise, Marguerite, see his entry above, and AUDCENT genealogy. Leontine Henriette Marie PINOT DE MOIRA, b. 4/5/1853, d. 9/4/1926 m. Emile ALLARD, but of their marriage no issue. Angele PINOT DE MOIRA, d. an infant 1/10/1855. Marcel PINOT DE MOIRA, b. 4/3/1856, d. 15/2/1858 an infant. Charles Henri Jules PINOT DE MOIRA, b. 6/4/1858, d. 21/11/1943, on the death of his eldest brother aupposedly inherited the title, Comte de Rochepaule and numerous papers describe him as 'Comte', some even before the death of his elder brother. However, our Brazilian cousins advise, that Manoel the adopted son of Gaston, took the title (as I understand he was entitled to under French Law) and held it until his death in 1964. As Manoel had no heirs, Jules could legally hold the secondary title "Vicomte de Rochepaule", and the title "Comte de Rochepaule" would thus assuming my understanding to be correct, return to England in 1964 to be inherited by Jule's son Marcel. A teacher of languages, he taught at St Edmunds College, Ware, Jules m. 2/7/1892 at Dorking, Louise Marie QUILLIER, dtr of Auguste Quillier and wife Rose unknown. details of whom appear after this second part of this Genealogy, and include details of his issue to date, see below - USE LINK. N. PINOT DE CHAMINADE, of whom we know nothing. N. PINOT DE MASGRE, of whom we know nothing. Francoise Rose PINOT DE LAULERIE d. after 1763 with no known issue. Martial Justin ROGERIE b. 8/8/1800 Limoges, corroyeur. Leonarde Marguerite ROGERIE b. 13/5/1806 Limoges, d. 3/5/1876 Limoges, m. 27/3/1830 Limoges, her first cousin, Paul Pierre FOURGEAUD b. 12/4/1808 St Junien, d. 4/6/1887 Tulle (Correze), son of Jean-Baptiste and Marguerite Sophie Pinot de Moira. They had issue, see his line. Francoise Rose b. 24/8/1763 St Junien, bap. same day having for Godmother Jeanne Desvergne de Laffont and for Godfather Jean-Baptiste Chavaud represented by Junien Chavaud. .Anne-Marie PINOT DE LAULERIE, b. 18/4/1839 St Junien. Pierre Leonard PINOT DE LAULERIE, b 1803 St Junien, d. 7/2/1836 St Junien, corroyeur, who m. Marie Francoise Alicia BELLOT and had issue. Jean-Baptiste Annet Cyprien PINOT DE LAULERIE b. 13/10/1833 St Junien, d. 13/10/1884 Limoges, comptable a l'hopital de Limoges, a batchelor. Vincent Barthelemy Felix FOURGEAUD b. 30/5/1834 St Junien, present at birth Pierre Leonard Pinot de Laulerie, aged 31, cousin of father. Jeanne FOURGEAUD of whom nothing is known. Marie Marguerite Victoire FOURGEAUD b. 19/1/1870 Bernard MARQUE, repetiteur general au lycee de Tulle. Ghislaine BRIN b. 1946 m. UNKNOWN and had issue of 3 daughters, (a) Stephanie b 1965 (with two children Martin and Jean), (b) Karine b 1967 (married), (c) Diane b. 1989. Danielle BRIN b. 1946, m. UNKNOWN and had three children (a) Laurent b. 1968, (b) Christine b. 1970 and (c) Cyril b. 1984. Dominique BRIN b. 1949 m. UNKNOWN and had two children: (a) Francois b 1977, (b) Aurelien b 1981. Philippe PINOT DE LAULERIE b. 2/12/1774 St Junien. Helene Marie Blanche PINOT DE MOIRA, b. 2/8/1893, d. 20/5/1971, a nun at Norwood. Gabriel Joseph Paul PINOT DE MOIRA, b. 4/11/1935, Comte de Rochepaule, m. 28/9/1963 Sutton-in-Ashfield, Cynthia Marjorie SWAIN, dtr of Sydney SWAIN and wife unknown. Richard David PINOT DE MOIRA b. 12/10/1995. Pamela Margaret PINOT DE MOIRA, b. 21/7/1969, unmarried had of Ian MORRISON, a son who follows, she married 29/5/1999 Loughborough, Karl ASHWORTH and had further issue:-. Terence MORRISON (alias Pinot de Moira), b. 18/7/1987, his maternal grandparents, decided to take up legal guardianship of Terence though not adoption, and later changed his surname by deedpoll to their own, that of PINOT DE MOIRA. Marguerite Marie Clotilde PINOT DE MOIRA, b. 17/6/1896, d. 25/5/1970, School Teacher, Spinster, she died without issue. John Christopher PINOT DE MOIRA, b. 20/7/1972, BA, PhD (Oxon - 1998). Anne Christine PINOT DE MOIRA, MSc, b. 3/5/1969, m. 21/9/1996 at Bushey, James BLAKE son of Alan 'All' Blake and Margaret 'Fanny' Sharpe. Jane Michelle PINOT DE MOIRA, B.Ed, b. 29/6/1971. Nicola Mary PINOT DE MOIRA, b. 17/10/1974. Michael Patrick Anthony PINOT DE MOIRA, b. 12/9/1932, ordained a priest at Westminster Cathedral, on 26/5/1956, Teacher at Ware School, Herts. David George Joseph FILBY b. 16/5/1964. Mary Elizabeth WINDSOR, b. 28/12/1930, d. 26/5/1976, Spinster, no issue. Helen Genevieve Gladys VINCENT, b. 24/2/1967 m. 4/10/1993 at Fareham, Alfred George VAZ the son of Joachim Mariano Vaz and wife unknown. Adopted son: Noel Jason Paul VINCENT, BA b. 27/9/1969. Geoffrey John VINCENT, b. 5/9/1970, m. 5/4/1997 Fareham, Louise Ellen Carmel FRY, dtr of Trevor John Fry and Carmel 'Lorne' Mabey. 2. In the Ministry of Culture - base Leonore, Centre historique des Archives nationales, 213372 dossiers de titulaires de l'Ordre de la Légion d'Honneur depuis la création de l'Ordre et décédés avant 1954. Marie PINOT b. 1640 d. 30/3/1680 Charbonnieres, Eure et Loir, m. 4/10/1659 Authon du Perche, Eure et Loir, Marin HERY b. 24/3/1635 Charbonnieres, d. before March 1680 Charbonnieres, son of Jean and Marie Cogneau, and grandson of Francois and Marguerite Deniau. Of this marriage issue of Francois, Marin, Marie, Louis and Jean. 2. Jean Louis PINOT b. 21/1/1800 Bourbon-Lancy, Saone et Loire, Legion d'Honneur L2167064 - no further information. Maurice PINOT DE VILLECHENON, Minister responsible for the prisoners of the government of Vichy, the post revoked by Pierre Laval in Jan 1943. He recruited Francois Mitterand, he was responsible for the creation of 'le Rassemblement National des Prisonniers de Guerre, which later become 'Le Mouvement National des Prisonniers de Guerre et Deportes in March 1944. He and Mitterand together created the resistance movement called "Pin-Mit". Maurice died with no issue. It appears that among the archives du Puy en Velay, there is a letter written by a Pinot of du Puy en Velay to his brother (a doctor-surgeon) living at Bourbon-Lancy, Saone et Loire . In the archives at Macon are documents which concern members un-named of the same family, who held positions as a lawyer and doctor. These same documents indicate links with the families "Baudot" and "des de Lambinet". At Bourbon-Lancy, the Pinot family erected a fine 18th century "Chateau Puzenat" (named now after later owners), owned by the town since 1969. Our own Genealogy includes Jean Pinot, gendarme who married Peronne de St Remy and had issue of four sons, Pierre, Francois, Henri and Jean who were all confirmed in their nobility in 1669. Olivier states that his branch of the family Pinot didn't exist in Lorraine prior to this period and he wonders if they descend from this marriage? Perhaps the Pinot family only came to Lorraine as a result of the marital bond with the family 'de St Remy'. Olivier quotes the following known facts in support. 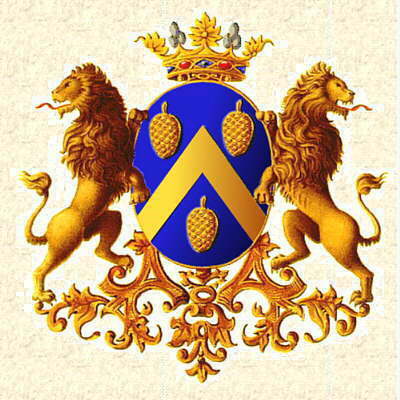 (My grandfather H Henri Pinot de Moira describes the arms of the family "de St Remy de Valois" of Champagne, as being those of Peronne who married Jean Pinot, but on what evidence we have no knowledge, other than the fact that the Genealogy was legalised and registered after a number of checks - the arms of de Saint Remy of Lorraine differ - dba) (a) Jacques PINOT, ecuyer de Rochepaule is mentioned in correspondance of Jacques PINOT (Surgeon of Bourbon-Lancy. 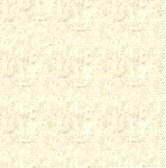 (page 169 of Catalogue held at the 'Hospices du Puy en Velay) (we have no information as to the actual date of the letter - dba). Marie Agnes PINOT b 21/11/1753 had for Godfather Pierre Nicolas Francois de Bourgongne, chevalier, Sgr d'Hacourt. (b) Marie Gabrielle DE ST REMY m. 27/2/1761 Regnieville, Nicolas Charles DE MICEVILLE son of Unknown m Ann de de Bourgongne. (b) Francoise HALDAT (dtr of Antoine Haldat, Sgr de Bonnet who m. 1625 Magdalene de Marchand), m. 1630 Lorraine, Jacques alias Jacob REMY the son of Christopher Haldat (first of name). Jacques fled France from Huguenot persecutions, via Germany (where an uncle lived) and then to England, finally to America, landing in 1655 in Westmoreland co. Virginia. with his wife, who died on the voyage. He remarried 1671 a Mary Miles and had issue of this second marriage..